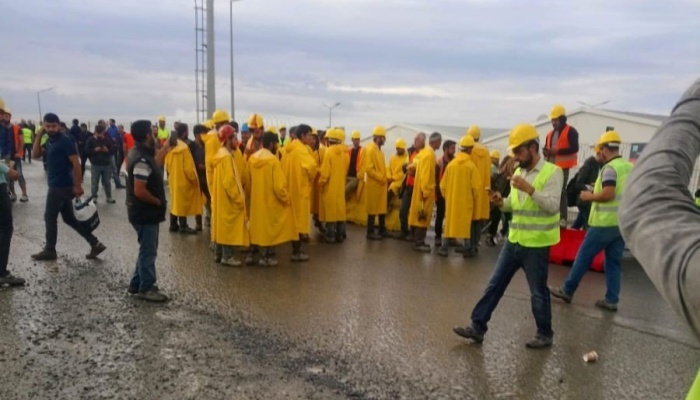 Workers at the construction site of İstanbul’s new airport went on strike on Friday due to allegedly dangerous working conditions that have caused hundreds of deaths, the Cumhuriyet daily reported. Local gendarmes intervened in the strike, using pepper spray on workers, while construction foremen were trying to prevent workers from shooting video of the strike. Workers who spoke to Cumhuriyet reported that overwhelmingly high numbers of workplace accidents have occurred, resulting in deaths and injuries on a daily basis. 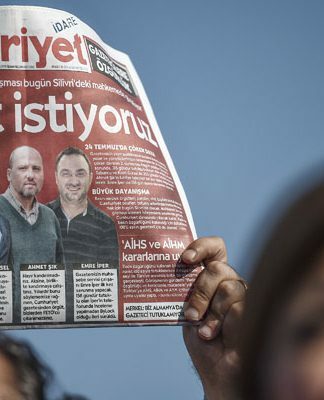 In February Cumhuriyet also reported that over 400 workers had died since construction started, out of some 35,000 workers hired for the project. 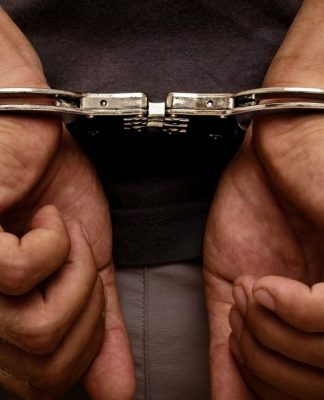 They also complained about food and housing on the construction site, claiming that their rooms were full of bed bugs and fleas, which led a number of workers to quit. 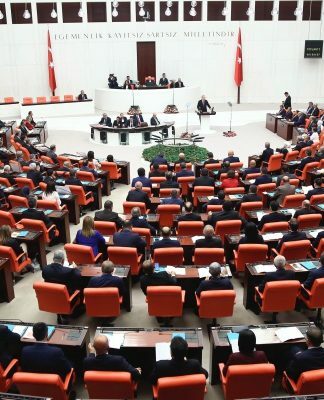 Workers were reportedly under pressure to finish the project as soon as possible in line with the wishes of President Recep Tayyip Erdoğan, an impossible task according to observers given the size of the project. When finished, İstanbul’s new airport will be the fifth largest in the world with its 77-square-kilometer airfield. 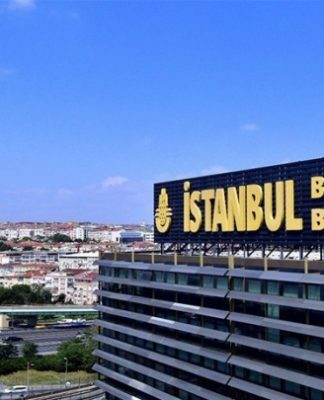 Even though it has been referred to as İstanbul’s third airport in the Turkish media, since İstanbul Atatürk Airport is scheduled to be closed to all flights on Oct. 31, the city will continue have only two airports, the other being Sabiha Gökçen. Located on the Black Sea, it will initially have the capacity to handle around 90 million passengers per year, but that number is expected to rise to 150 million by 2023, according to AFP. 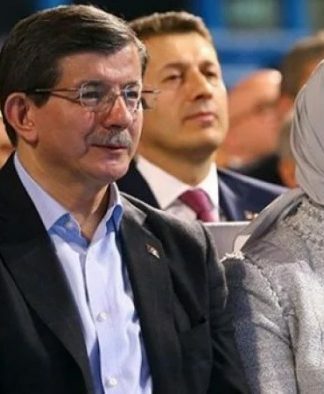 To publicize the project, Erdoğan’s plane landed there in June just days before the presidential election.